Histone H3 (K27) Methyltransferase Activity Quantification Assay Kit (ab113454) allows the user to measure the activity or inhibition of individual histone methyltransferase that specifically target histone H3 at lysine 27 (H3K27). The kit is ready-to-use and provides all the essential components needed to carry out a successful HMT activity/inhibition quantification experiment without the need for radioactivity or any special equipment. Methylation of histone H3 at lysine 27 (K27) is a mark of gene inactivation and it is thought to mediate heterochromatin formation by forming a binding site for Polycomb. In mammalian cells, the EZ family group of proteins among others are responsible for the addition of one, two or three methyl groups at lysine 17 of histone H3. Nuclear extracts were prepared from MCF-7 cells using the ab113474 and H3K27 specific histone methyltrasferase activity was measured. ab113454 has not yet been referenced specifically in any publications. Customer kindly contacted us to inquire about the components these kits. I am sorry but the compositon of the components in our Episeeker Histone H3 (K27) Methytransferase Activity kit and ab113474 Episeker Nuclear Extraction kits are considered proprietary and I am unable to share that information. I am sorry for any inconvenience this may cause. While I could not provide the information request this time, please do not hesitate to contact us if you need any more advice or information. Can strips be purchased separately from rest of kit? I have plenty of buffers yet but have run out of wells. Also, are wells coated with anything like streptavidin or are they uncoated? The strip wells are coated with streptavidin but unfortunately they are not available separately. ab113454 was sitting at room temperature for 72 hours, will the enzymes still be functional? Thank you for your phone call. We will continue to guarantee all of our products, even if they were at room temperature for several days due to shipping issues. For this kit in particular, I would expect it to still work normally even though it has been at room temperature for 72 hours. If you do not see a linear standard curve, that would indicate that one or more of the components is not functioning properly and we will be happy to replace the kit for you. I hope this helps. If you or your student have any further questions, please let me know and I will be happy to help you further. I am sorry to hear the kit is not quite working as expected. 3) Any potential deviations from the protocol that was provided in terms of sample preparation and procedure. 4) What was your lot number and order or PO number? I look forward to hear back from you and assist you in resolving this case. I have several questions about two products. EpiSeeker Nuclear Extraction Kit EpiSeeker Histone H3 (K27) Methyltransferase Activity Quantification Assay Kit 1. TheMethyltransferase Activity kit protocol has a note in the overview section that includes the phrase "HMT enzymes transfer a methyl group to histone H3 substrate from Adomet to methylate the substrate at lysine 4." Is this a typo? is the kit specific for K27 methyltransferase activity or will it also detect other methyltransferases? 2. There is another apparent typo in the Background section: "ab113454 has the following features: ...Quantitative determination of activity/inhibition of H3-K9 histone methyltransferases." 3. My samples for the transferase activity assay will be tissue extracts. One of the instructions in the nulcear protein extraction kit protocol recommends sonication: Nuclear Extract Preparation - "The extract (especially tissue extract) can be further sonicated for 3 X 10 sec to increase nuclear protein extraction." But could sonication diminish the methyltransferase activity in my samples? 4. The exrtraction kit protocol has all centrifuge spins specified in RPM. Can you provide the equivalent g forces? If not, can I assume the instructions apply to my microcentrifuge? 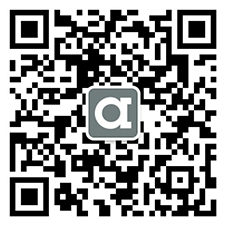 What brand and model were used to develop the protocol? 5. 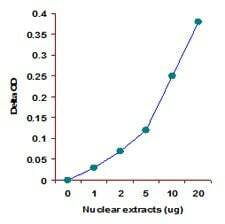 I want to use the nuclear extracts for western blots, as well as the activity assay. Will the extracts be useful for blots of histones if I simply reduce and denature in the standard way for protein, given that most histone extraction protocols use an acid extraction? I am working with heterochromatin, and I am concerned that the extraction with this kit, which appears to be a low salt/high salt protocol, will notrelease the histones as efficiently as an acid extraction. 6. I have two concenrs about the DDT solution that is included with the extraction kit. Is it stable at 4C, or should this component be stored at -20C? My other concern is the appearance of precipitate, which does not go away when the 1000X stock is heated to 37C. I this normal? I received an update from the developer of the kit shortly after I sent my previous e-mail to you. The information they provided basically confirms what I had suggested in my e-mail, except that sonication will apparently not diminish activity: 1. Yes, these are both typos, they should be lysine 27. We apologize for any inconvenience caused by this. 2. 3 X 10 sec sonication at 4C will not affect enzyme activity. 3. It is about 11000 G (12000 rpm. Rotor radius = 7 cm for bench-top centrifuge such as Eppendorf 5415C). 4. The nuclear extract prepared with the kit is successfully used for WB histone detection. 5. The DTT solution is specifically formulated to be stored at 4C. It is stable at 4C for at least 6 months. Appearance of a very little precipitates is normal. It may be seen when storage temperature is <4C. Please contact me if you still have question or concerns. I am interested in the Histone H3 (K27) Methyltransferase Activity Quantification Assay Kit, ab113454. The protocol recommends to use Nuclear Extraction Kit (ab113474) for nuclear extraction before using the assay kit. Does the nuclear extraction kit involve high salt or SDS in the buffers? I'm worried about that for my samples. Thank you for your inquiry. Compared to similar kits that use conventional nuclear extraction methods, the buffer included in our nuclear extraction kit (ab 113474) contains much lower amounts of salts (20% of conventional kits) and no SDS, which would allow the enzyme activity to be better kept in the nuclear extracts. I hope this information helps. Please contact me with any other questions.